From Factory Entertainment. The Caped-Crusader always has a plethora of amazing devices at the ready, but his tried and true gadget of choice is his trusty Batarang! More often than not, Gotham's Dark Knight plucks this throwing weapon from his utility belt when coming face to face with foes of every kind, and now you can too! 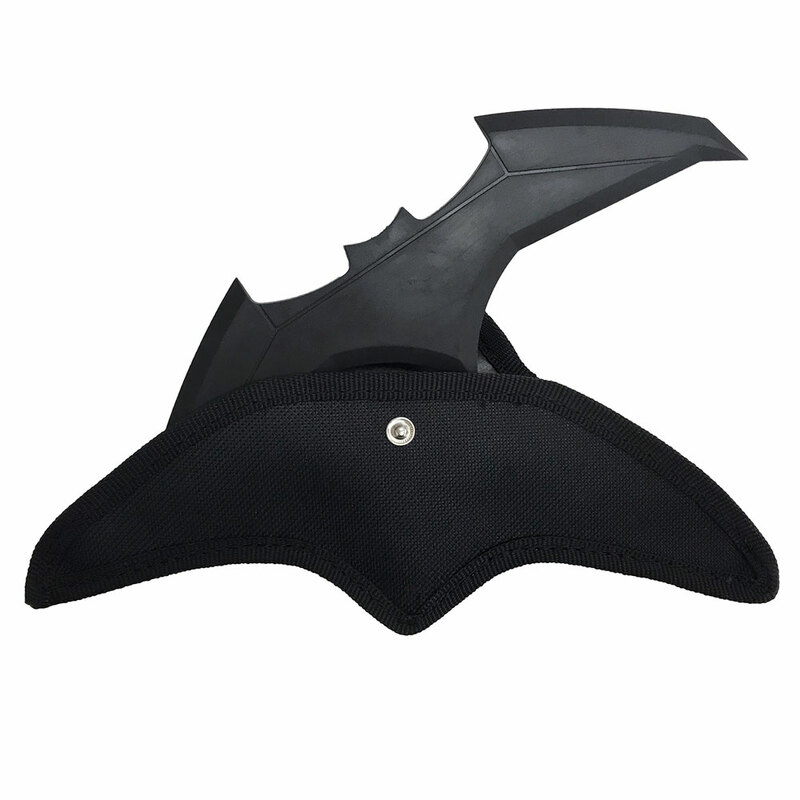 Made out of soft rubber, this 10 inch wide LARP (Live Action Role-Play) Batarang is perfect cosplaying and role-playing and comes with a nylon carrying case featuring a loop for attaching to a belt, strap and more.